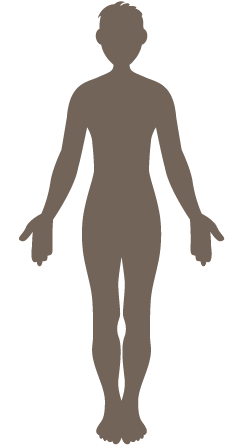 The scalp is identical to the skin except that it also contains hair follicles that produce hair. HA and collagen of BioCell Collagen may help nourish and hydrate the dermal layers of the scalp for healthy, lustrous hair. 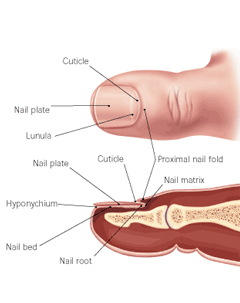 Fingernails and toenails are made of the same building block as hair - keratin. BioCell Collagen may increase the level of amino acids in the blood, aiding keratin production, which significantly aids in growth of strong, beautiful nails. As important as the actual nail is, the nail bed is also crucial for nail health. Our product helps maintain healthy levels of HA and collagen for the nail bed comprised of connective tissue, thus improving fingernails and toenails. Perhaps you remember the term “vitreous humor” from science class. It’s the term for the fluid in your eye. 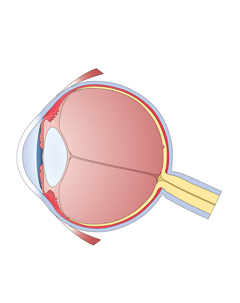 This fluid can break down due to aging or eye injury. HA is often used for possible restoration of the vitreous humor. BioCell Collagen’s has a uniquely low molecular weight HA which levels are remarkable elevated in the blood stream after intake, potentially aiding in the health of the eye. 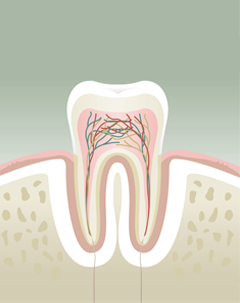 Gums are integral to tooth health as well. BioCell Collagen’s unique combination of HA and collagen may help support the healthy shaping of gums, keeping your mouth healthy and happy. Hydrolyzed collagen may also strengthen the gingival fibers that attach your teeth, giving beauty to your smile. 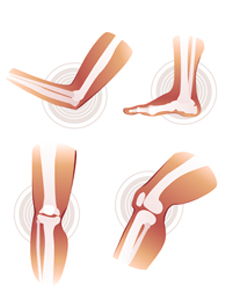 BioCell Collagen promotes joint health by supporting cartilage and the structure of the joint. It also helps enhance joint lubrication by replenishing the synovial fluid in the joint. This promotes joint comfort and mobility, increasing range of motion. 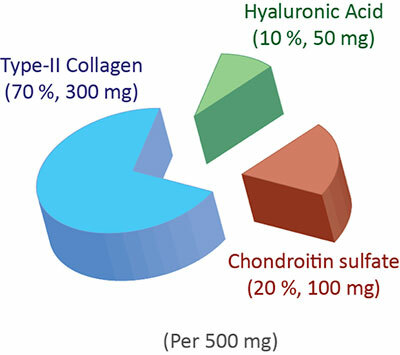 Hydrolyzed collagen in BioCell Collagen could also be used as the building blocks of collagen fibers in the ligament and the tendon, helping recovery from strenuous sports activity by supporting the connective tissues. BioCell Collagen can counteract both natural skin aging and aging from sun exposure. Our product has undergone significant clinical tests, which have shown a notable decrease in facial lines and wrinkles in the skin. There was also proven improvement of skin hydration. We accomplish this with our unique, patented formulation that includes Hydrolyzed collagen, HA (Hyaluronic Acid), Chondroitin Sulfate, the three substances that, in combination, maintain youthful looking skin. Click an area to find out! BioCell Collagen is a science based, clinically tested dietary ingredient that promotes active joints, youthful looking skin, and healthy connective tissues. 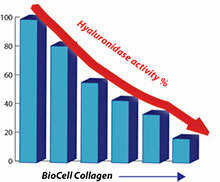 Unlike other collagen and hyaluronic acid ingredients on the market, BioCell Collagen contains a patented composition of naturally occurring hydrolyzed collagen type II, chondroitin sulfate, and hyaluronic acid in a highly absorbable matrix form that has been the subject of numerous human clinical trials including safety, efficacy, and bioavailability. The BioCell Collagen® logo of authenticity is proudly displayed on the labels of finished products that contain BioCell Collagen®. BioCell Collagen utilizes a patented Bio-Optimization™ process which ensures remarkable bioavailability as well as rapid absorption into the body. More than 20 clinical studies including five human clinical trials on BioCell Collagen support its effectiveness and safety in promoting joint health and skin beauty. 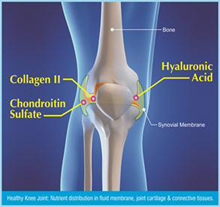 The unique synergy of hydrolyzed collagen type 2 and low molecular weight (LMW) HA and chondroitin sulfate, offers multi-dimensional nutritional support for the health of connective tissues such as skin, joint, tendon and ligament. It is important to note that not all collagen ingredients are created equal. There are several collagen supplements available in the market that lack clinical evidence and that have a very different molecular makeup than BioCell Collagen. Collagen in its native or unhydrolyzed form has a large molecular structure making it difficult for the body to absorb and utilize. Furthermore, many other collagen supplements do not have the synergistic benefit of naturally occurring HA and chondroitin sulfate like BioCell Collagen does. BioCell Collagen undergoes a patented manufacturing process, which significantly reduces the molecular size to a specific range that allows for easy absorption, fast action, and effective results. Our unique composition has been granted patent protection and has undergone human clinical trials proving its efficacy. To ensure authenticity, look for the BioCell Collagen logo on the product label. BioCell Collagen has a comprehensive approach to joint health, one that not only targets cartilage, but the related tendons, ligaments, and synovial fluid. Glucosamine and chondroitin formulations have been used as the standard of care in joint health for more than two decades with limited success. The big question on the mind of health care practitioners today is what is next in joint health. BioCell Collagen offers significant advantages with its advanced, patented composition which mirrors human articular cartilage and provides bioavailable collagen type II, chondroitin sulfate and hyaluronic acid for the comprehensive maintenance of healthy joint function. BioCell Collagen’s uniquely differentiated properties provide broader, more complete and effective nutritional support. Results from human clinical trials on 185 men and women who took 2000 mg daily showed BioCell Collagen safely improved joint comfort, mobility, and quality of life. BioCell Collagen® offers a patented, comprehensive solution for healthy joints through multiple mechanisms of action. Multiple clinical trials over the past decade demonstrated the safety and efficacy of BioCell Collagen in promoting joint health by improving joint mobility and comfort. BioCell Collagen is produced by using a patented hydrolysis process which optimizes the molecular size of collagen, hyaluronic acid (HA), and chondroitin sulfate for fast and effective absorption. Some other collagen supplements are not hydrolyzed, resulting in a molecular size that is too large for the body to digest. BioCell Collagen® provides the building blocks of macromolecular collagen, HA, and chondroitin sulfate essential for the health of cartilage, synovial fluid, and tendon and ligament connective tissue. BioCell Collagen is not only bioavailable, it’s also biologically active. Residing exclusively in the cartilage, the chondrocytes are responsible for the biosynthesis of collagen type II, HA, and chondroitin sulfate. Hydrolyzed collagen type II contained in BioCell Collagen has been shown to stimulate these cells to synthesize new collagen type II, suggesting that BioCell Collagen may help in the regeneration of degraded cartilage. 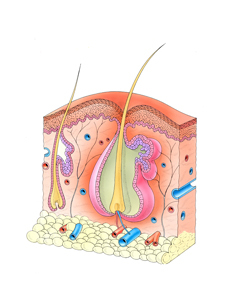 Hyaluronic Acid (HA) is found in virtually all tissues of the body. In the joint, HA plays two important roles. First, it acts as a key structural molecule to form healthy, functional cartilage. Second, HA is a major component of synovial fluid, the lubricant found in our joints that allows smooth and easy movement. 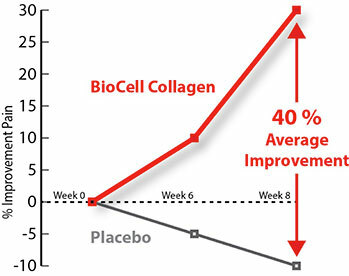 A study showed that consumption of BioCell Collagen (1500mg/day) led to a 60 times increase in HA levels at steady state. During a 12-week study, women who took 1000 mg of BioCell Collagen daily said their skin was up to 76% less dry (more hydrated), and their fine lines and wrinkles had reduced by up to 13.2% when compared to baseline levels. Additionally both collagen levels and blood circulation were improved. The outcome of this study was published in Clinical Interventions in Aging. Hyaluronic Acid (HA) is a key component of the skin’s extracellular matrix responsible for keeping the skin supple and hydrated. 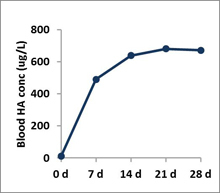 Studies show that BioCell Collagen helps maintain healthy levels of HA not only by elevating HA levels in the bloodstream but by inhibiting HA degradation. The aging process leads to the loss of dermal collagen, which is the key factor of wrinkle generation. BioCell Collagen® antagonizes the loss of collagen by increasing collagen content in the dermis. 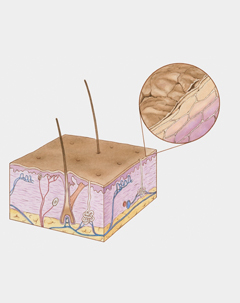 Various cells reside in the skin including dermal fibroblasts which produce collagen, elastin, HA, and other ground substances that fill the skin layer. Improved blood microcirculation effectively nourishes the cells with oxygen and nutrients while removing wastes from the tissue. Human Skin Study (2011) on facial aging signs (1000mg/day, 12 weeks). Results not typical, individual results may vary.